ISBN 9790006536436. 30 x 23 cm inches. Text Language: English. Illustrations: Charlotte Panowsky. 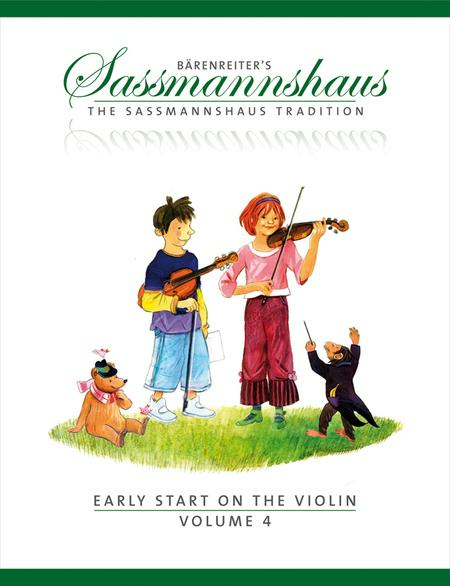 Original German title: Fruher Anfang auf der Geige - Band 4; Eine Violinschule fur Kinder. 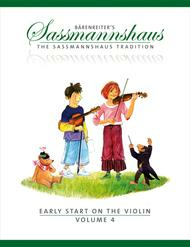 The fourth volume introduces various positions as well as new bowing techniques. These are practiced in increasingly demanding classical duets. From here students can embark on the journey of standard repertoire - Concerti such as Vivaldi, Accolay more...etc. are now within reach.